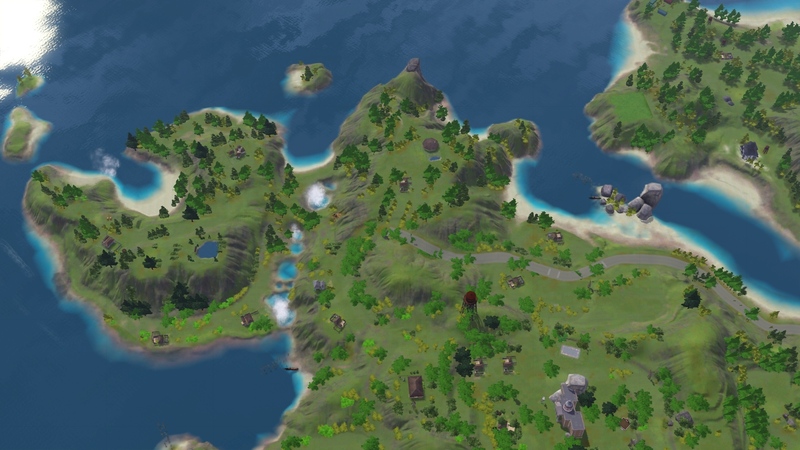 Lost Cove is an archipelago based on Island Paradise ( you won't need the Expansion to play ) The world is rebuilt for a more savage feel and vegetation. We wanted to built a world to fit our need of a special kind of post-apocalyptic world, like 28 years after an apocalypse, where nature had time to grow all over the place and where there would be nothing left. Lost Cove is a try to utopia, where living is the main focus and building a different world is the common goal. Except one portion of the main road, you won't find a single path on Lost Cove. You are now free to go where you want. Clean the slate or work with it "as is". There is only one world and no bridges to cross. To navigate between islands, there is one way : swim ( or taxi-boat if you have Island Paradise but that wouldn't be post-apocalypse ). The least we can say is that Lost Cove is a peaceful place where everyone can follow it's own rhythm. Nevertheless, technology failed, weather stormed, earthquakes rambled and flooding changed everything. Including your Sims life and lifestyle. 30 years after the Apocalypse, Nature took its right back. And Sims had to adapt to survive. 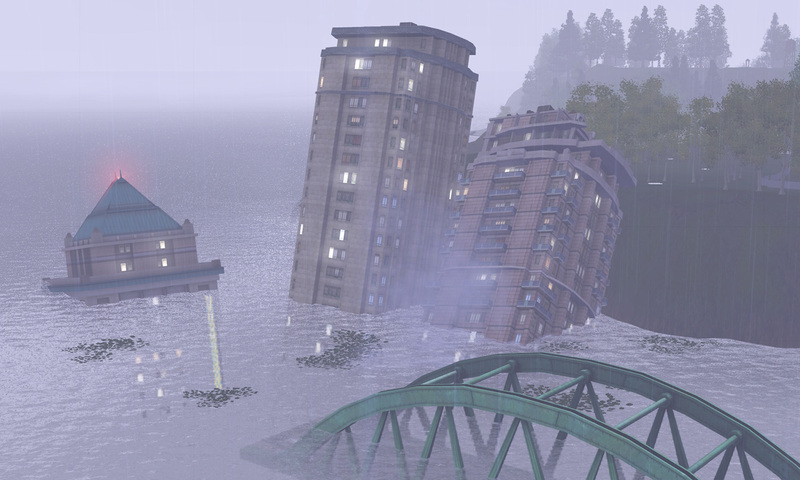 But now, Sims want more than surviving, they are ready to rebuild ! 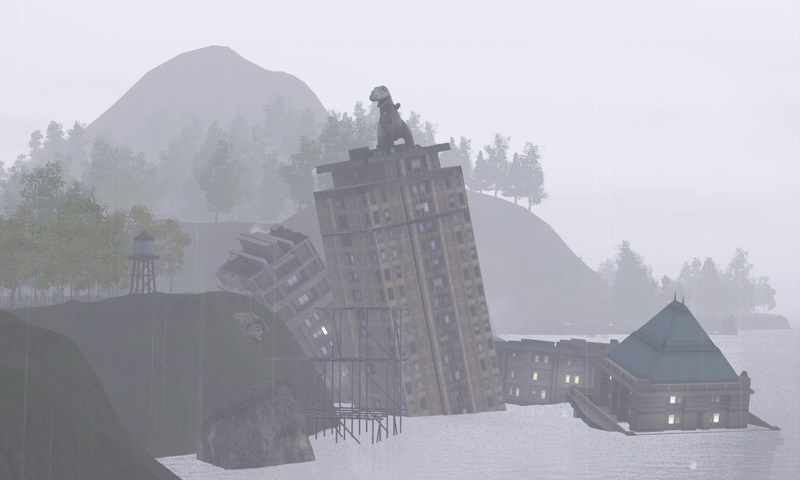 Lost Cove is an archipelago, already a community before the apocalypse. A lot of friends perished when the Apocalypse occurred. The majority of the inhabitants flew black to their family, inlands. Some wished to stay, seemed impossible for them to leave the islands and tried to save what was left in Lost Cove. They were lucky enough indeed. So, they decided to build a new community, with new rules. The Town Hall did not suffer too much damage. Was it a sign ? Rebuilding the community was hard and it was decided that if one wanted something, one had to do it by itself. First, it was to bring back people together, so the Vampire Bar came out and people start talking about it. They didn't feel like abiding by some rules, since the archipelago wouldn't be touristic for a long time again, they could rebuild for them, what did they all wanted right now ? Thus, the school isn't a classic one and indeed all buildings go the same way ... but hey, the community is glad to have start something. Buildings such as houses are still in a kind of half-finished condition. Until now ... 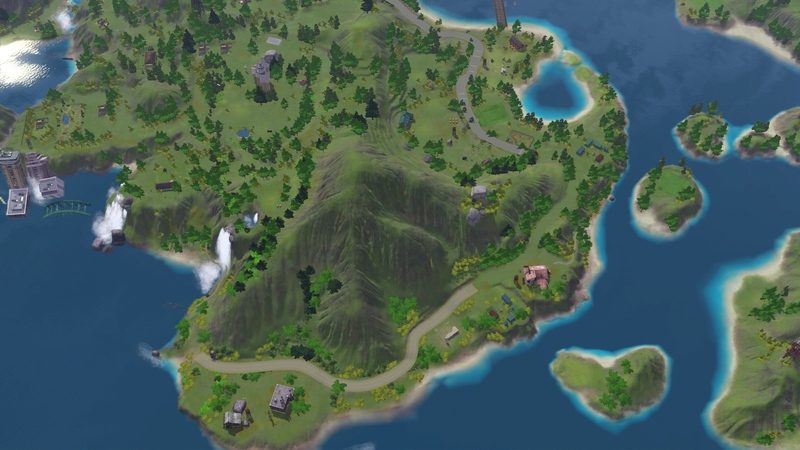 The main island is the biggest one. The second island can't be reach by the bridge like before, actually all islands are isolated and can only be reach by swimming. No one had time to explore them and assets their needs. The bridges collapsed, the previous downtown sinked and the only road remaining is near to useless. Nature is really everywhere ! Sure, it is beautiful, scenery no one paid attention to before, but is it enough to fill a life ? Will it keep people warm in the middle of winter ? Don't fool yourself, Lost Cove is not all butterflies and so on. 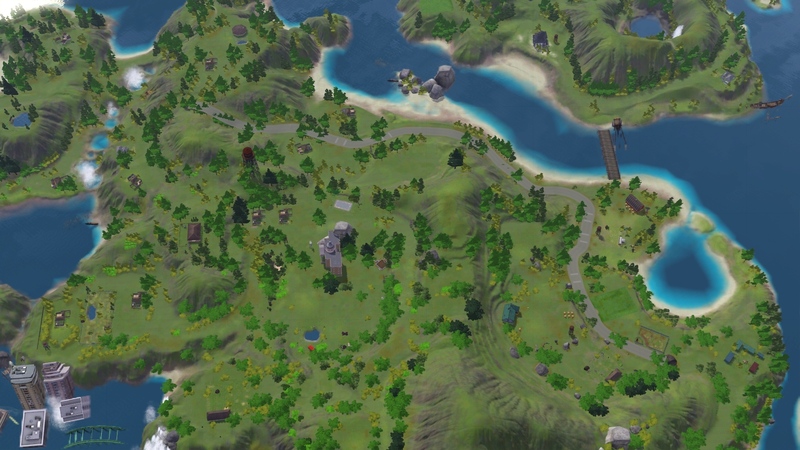 Dangerous places, lost islands and even forgotten lots are awaiting on this small place of the Sim Globe. 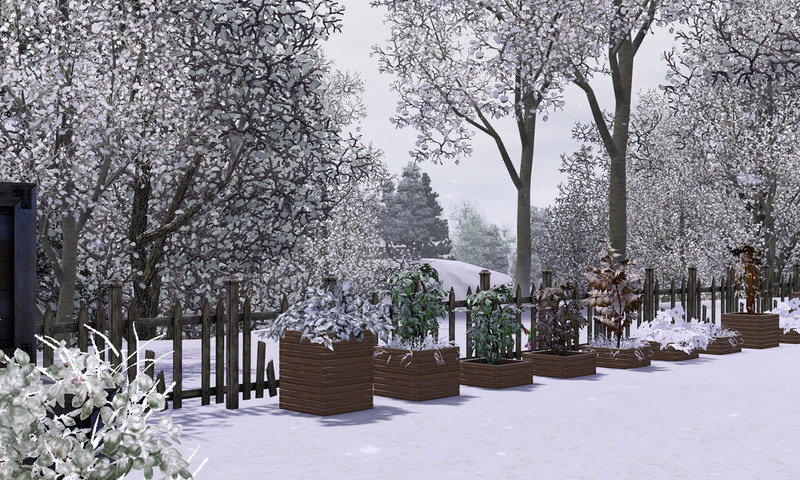 Winter can be very rude and all the Sims around have already felt the loneliness of a long long winter ... Inhabitants aren't all into the whole community trip, some would like to get back to "modern life". Will there be fight for power ? Is electricity coming back ? What will the future generations choose ? The world is built to make your own utopia. Part of The Red Path - Aftermath project, Lost Cove is the world built for a kind-of-challenge. Start a new world within a land with a past. Create your future ! The world is medium size, which is big enough for, at least 4 small communities on the two biggest islands two islands. Imagine using the small ones too ! The world is flat enough for you to put lots where you want Well, if you have Island Paradise, you see how big the world can be and the place you have. Spawners : Plenty of spawners for all EP ( except World Adventure and Showtime ) - you'll find small animals, insects, fish, plants, seeds, rocks and gems all over the place from all the expansions. Spawners are not just on lots, they are all over the place. Terrain Paint : There ain't more than 8 terrain paint - the most important was to make the world less flashy green, more natural, pleasant for the eye. Roads : Except one ( to keep the game stable ) that doesn't even make the whole island, there are no roads, no sidewalk, no path. 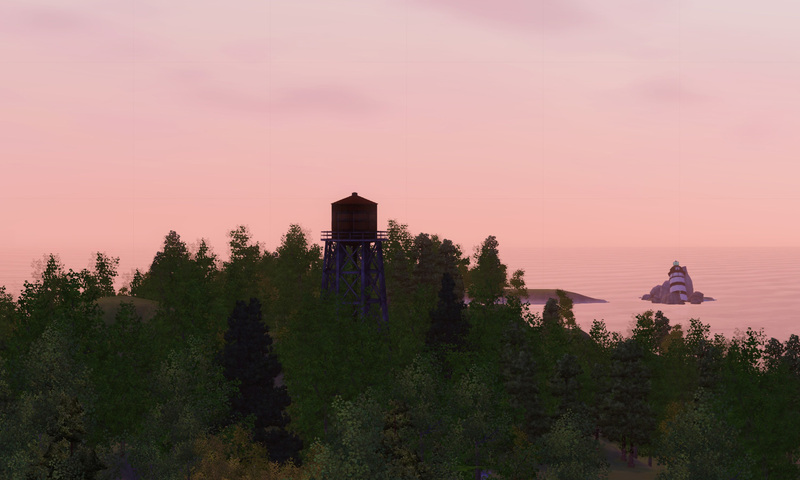 - Lost Cove.Sims3Pack : unpopulated and without lots ( except Town Hall and Criminal Hide Out ) - you'll have fun building a world where nothing is easy and no roads will help you. Really, this is a challenge in itself. 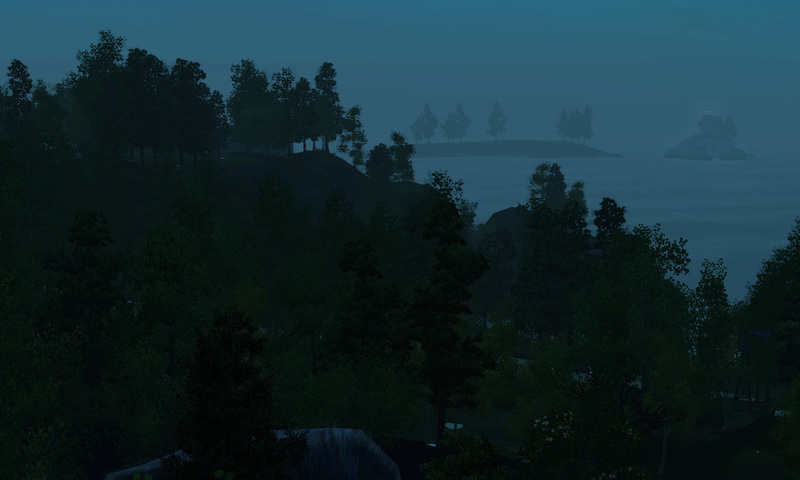 - Lost Cove.CAW : the Create-A-World files if you wish to work on it. 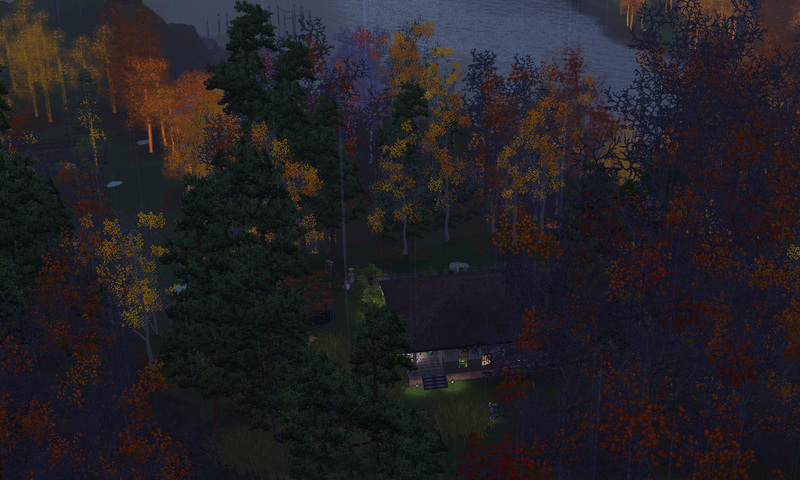 - Lost Cove.Sims : a populated world with lots. You might need to download some CC, see the list in the spoiler below. 33 residental lots and 15 community lots. Among the community lots : 4 are rabbit holes. Residential lots : various size, 20x20, 30x30, etc. And 4 big lots. Lost Cove have a story, we built lots to live in this world and each of them have a story. At Tech Hippie, you will find the following community lots and 4 residential lots. Here is a list of the community lots with a short summary. The Elixir Corner - the place for supernatural creatures and their needs, with the Apocalypse, no need to hide anymore. The Lost Ranch - well ... what is a barn with horses ? A ranch for sure ! Nature School - 28 years after an apocalypse, babies grew up, they had to be educated. History is known to repeat itself. Nature Pool - washing in the sea isn't the best thing to do, good thing that pool was not destroy in the earthquakes. 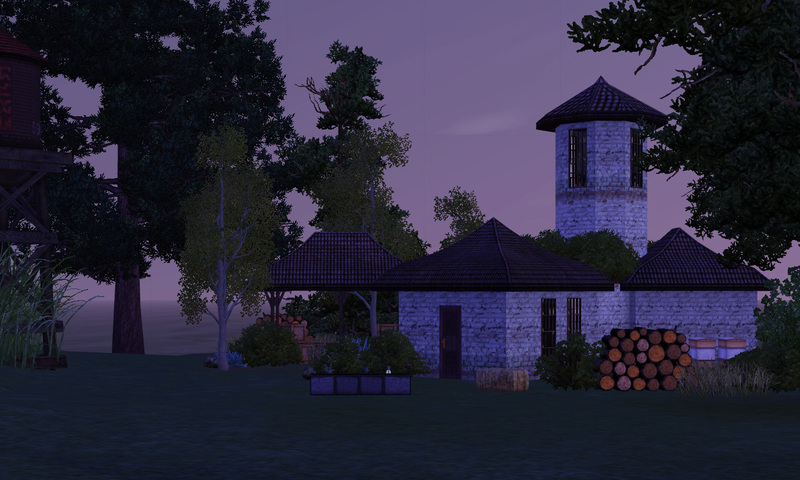 The Bar - one day, a vampire decided that Lost Cove needed a place to steam out, to feel Sim again. Flee Market - no money, no candy ? not anymore ! Come to the flee marker to find what you need ! 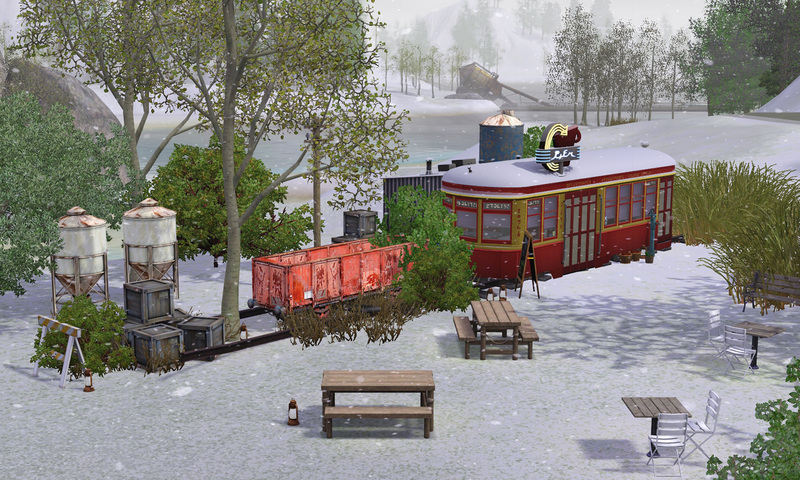 Band Wagon - a restaurant in a train wagon, well, who cares when everyone can finally eat ! Granny Ever After - some people needed to do something, but building wasn't an option and the restaurant wasn't ready yet, still people needed to eat. Freshy Market - at first, surviving was about finding food, than it was about growing food, and finally, there was too many fruits and exchange was finally possible. Madame Irma - surviving an apocalypse is not the easiest, once the dust settled, people started worrying about the future, and some others could give answers. Grab the Crab - living on an island isn't the best place for clear water, Lost Cove is lucky enough to have a nice fishing point that is not full of salt ! Casse de la Baie - it wasn't hard to build a junkyard, it is harder to find inventors or useful thing in it.